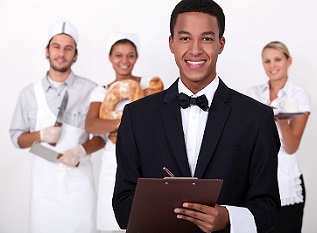 Hire a Student’s management team has over 12 years combined experience in the hospitality industry. We provide trained, professional students to meet your needs. Whether you are looking for a couple of bartenders for a special occasion, or a more complete team for your corporate function, we are able to help. We have waiters and waitresses; hosts and hostesses; barmen and bar ladies and more. Thank you very much for Andrea, she has been extremely helpful. Naledi was great. We will definitely use your services again. We manage the admin of screening and training reliable and trustworthy students who take pride in their work. By using our students you save on cost, and don't sacrifice the quality. Students in SA need real life work experience to acquire jobs when they graduate. You give them this opportunity and we guide them through the learning curves.